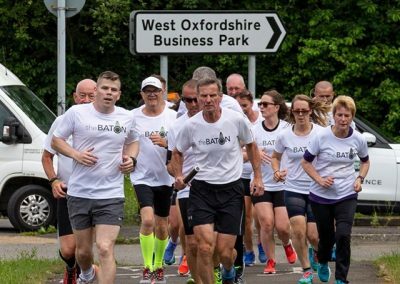 We have had some very Baton Runs over the last ten runs but I have to say that this one was incredible. 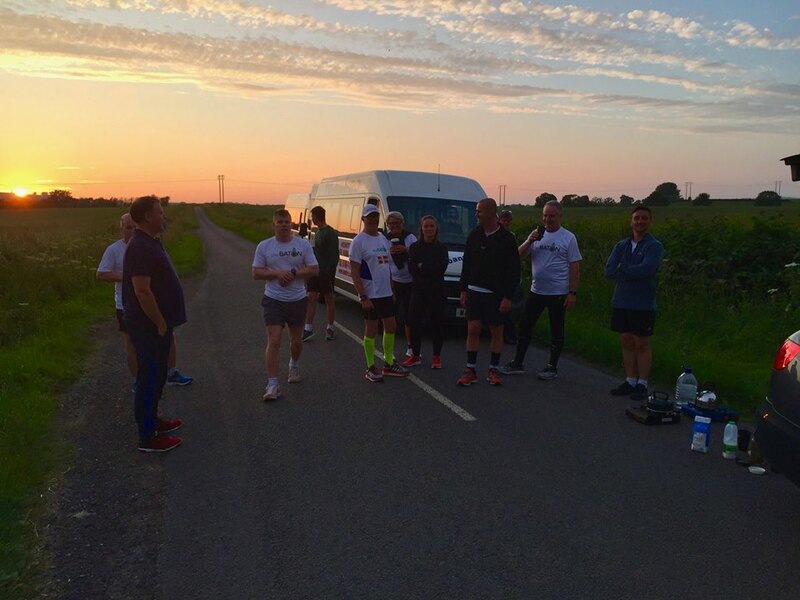 I have never seen people support their team mates through the night as this one did and totally admire the comradeship they showed. 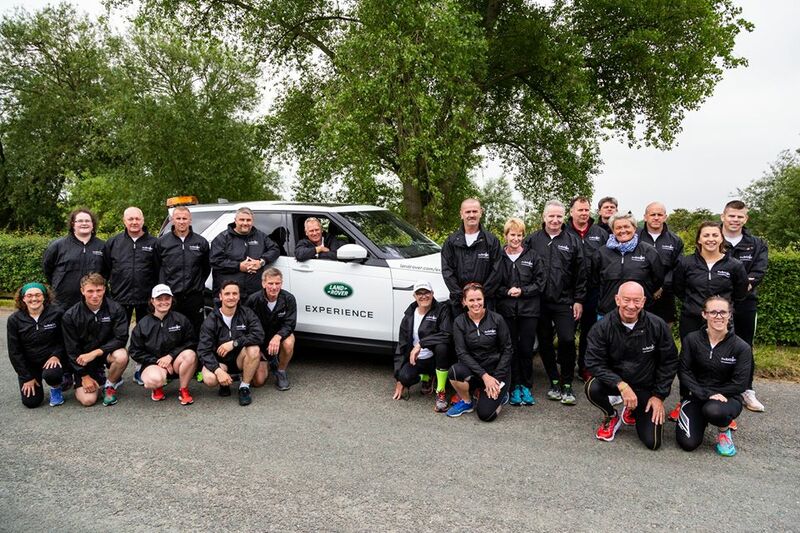 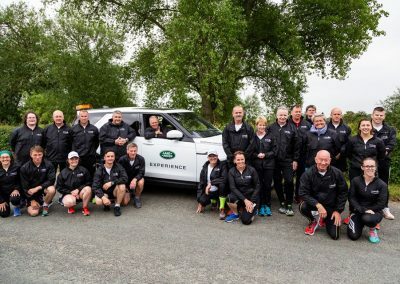 The support teams did an incredible job of keeping as all safe and in the right place at the right time – I’m sure all the runners will join me in thanking them. 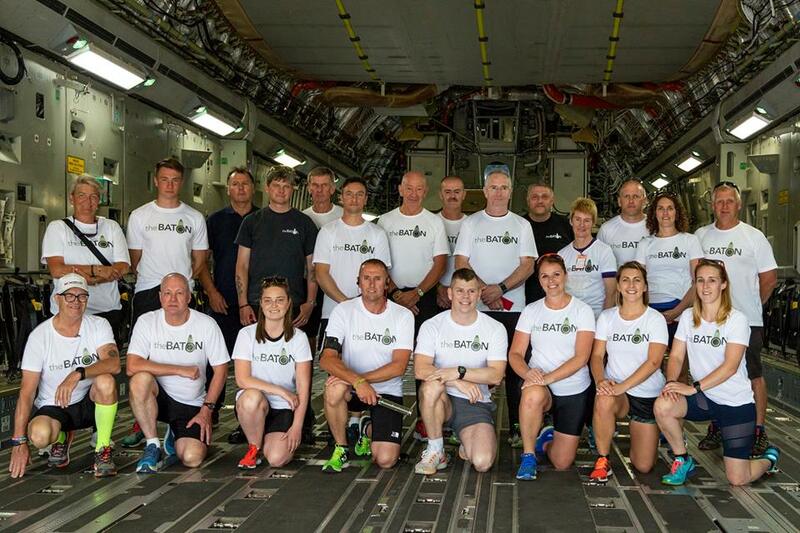 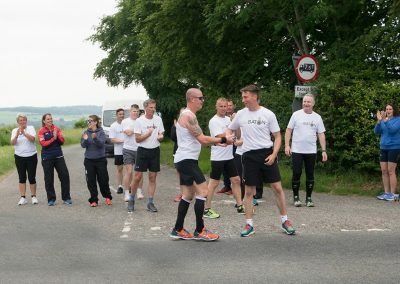 To start the run from inside an aircraft of 99 Sqn that amongst other duties brings home wounded and repatriations to family and friends is the most apt place. Our gratitude to the Station Commander and other staff who made the day possible giving up their time off. 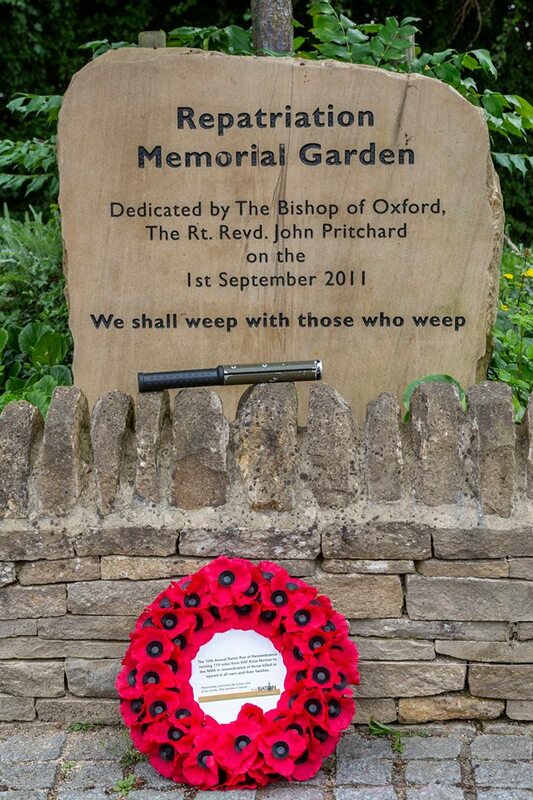 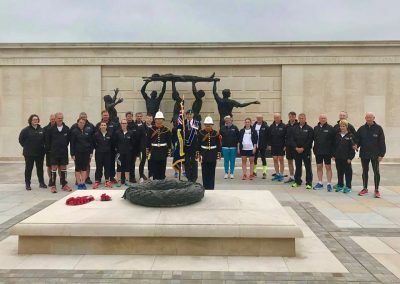 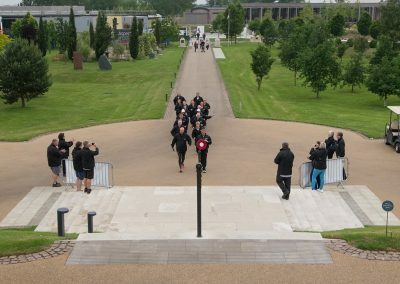 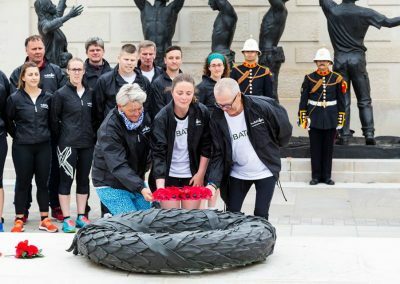 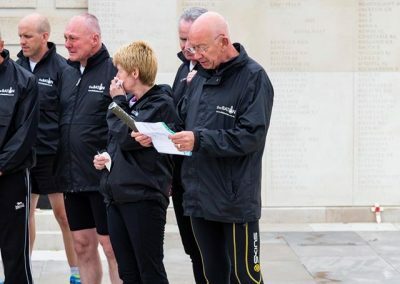 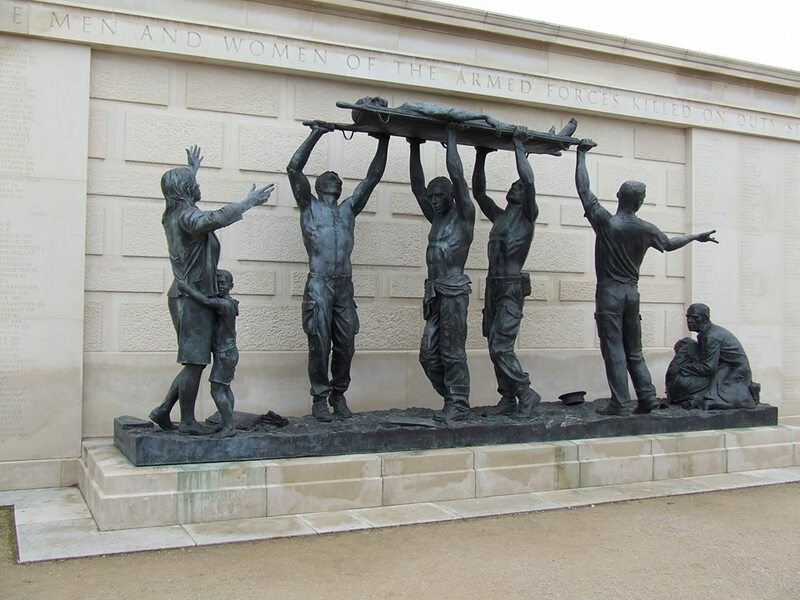 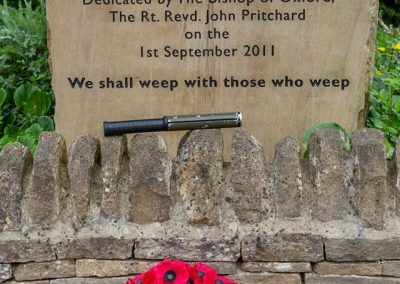 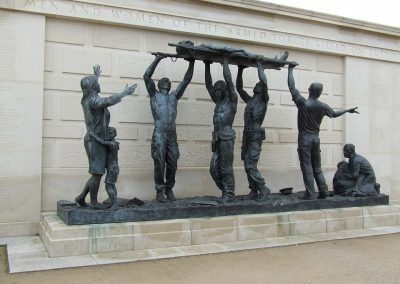 After leaving the base the team ran to the Repatriation Memorial Garden to lay a Baton wreath, this year Victoria Gilmartin and Lara Stead laid our wreath followed by a minutes silence. 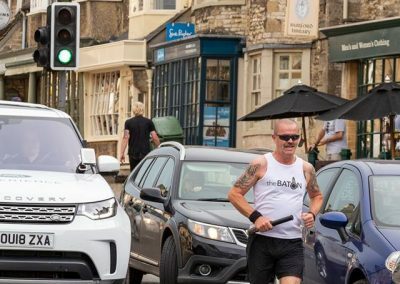 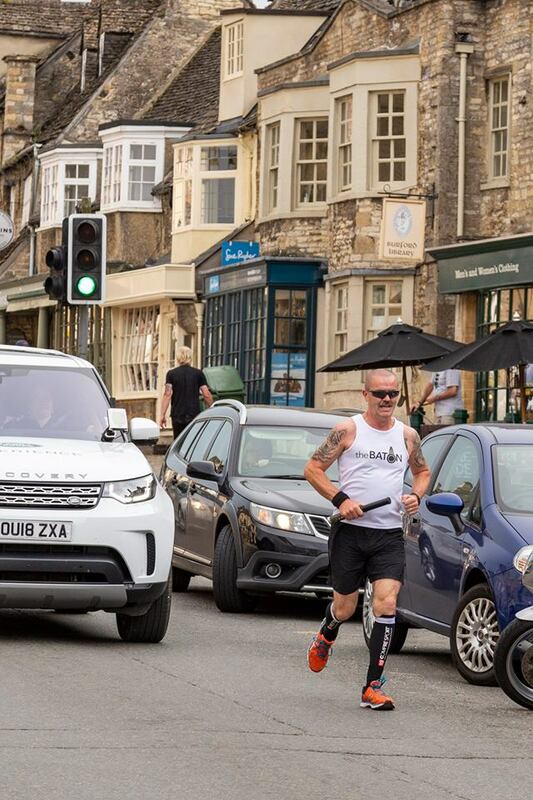 As i’ve done since the runs began I took the first leg, this year with good friends Simon Dean and Jon Harding before handing over to another great friend, Mark White, who ran through Burford and then took on the massive hill out of it – not for the first time! 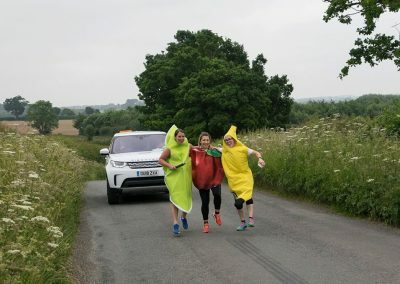 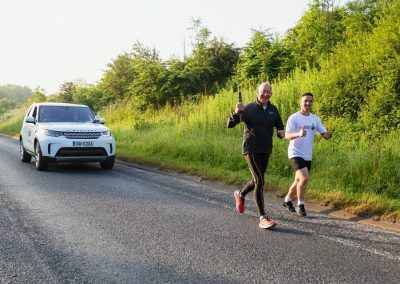 Several Drivers tooted encouragement as they passed the runners and threw donations (some £20 notes) through the support car windows – amazing generosity! 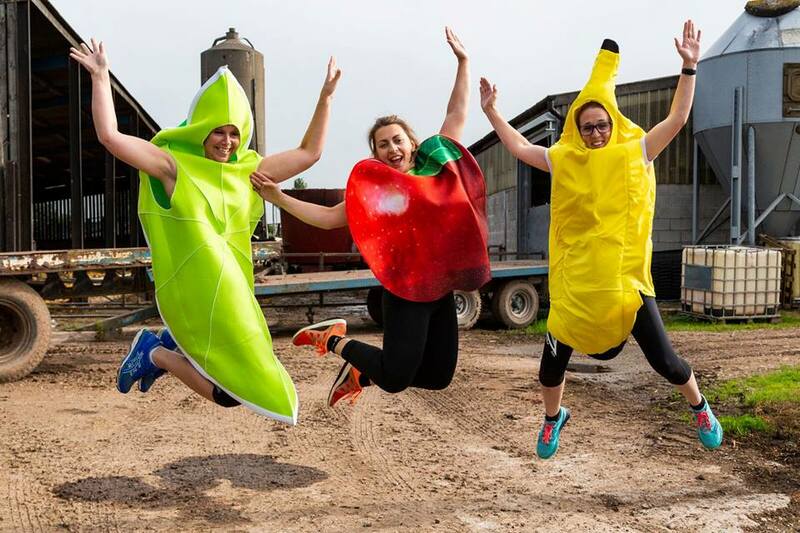 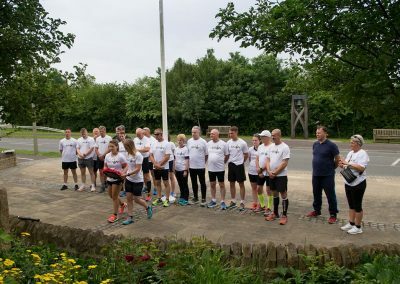 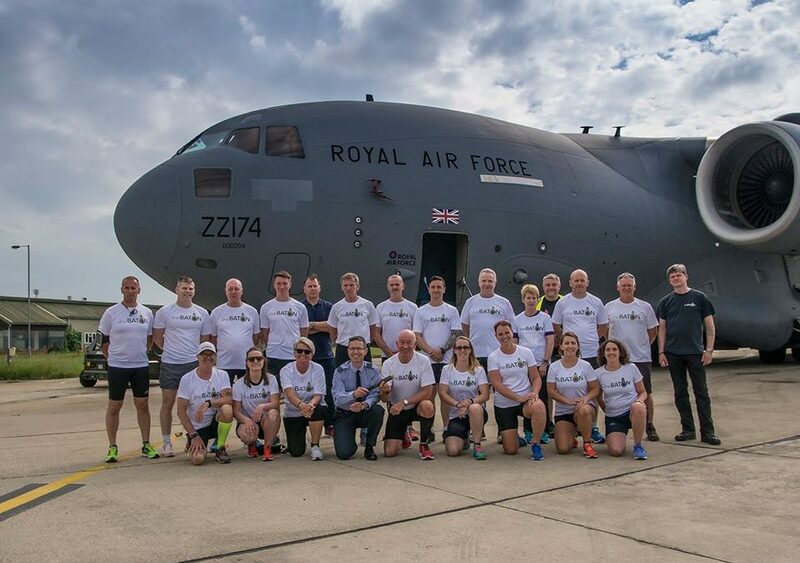 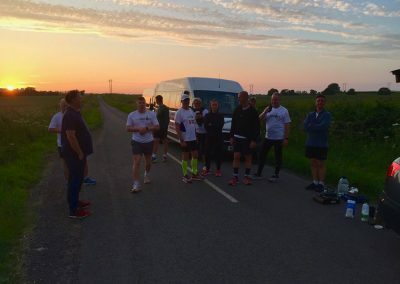 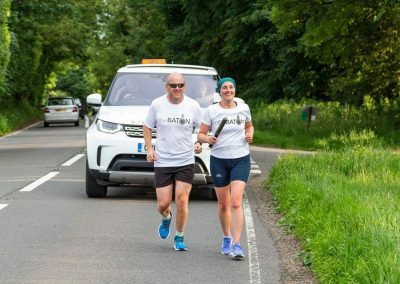 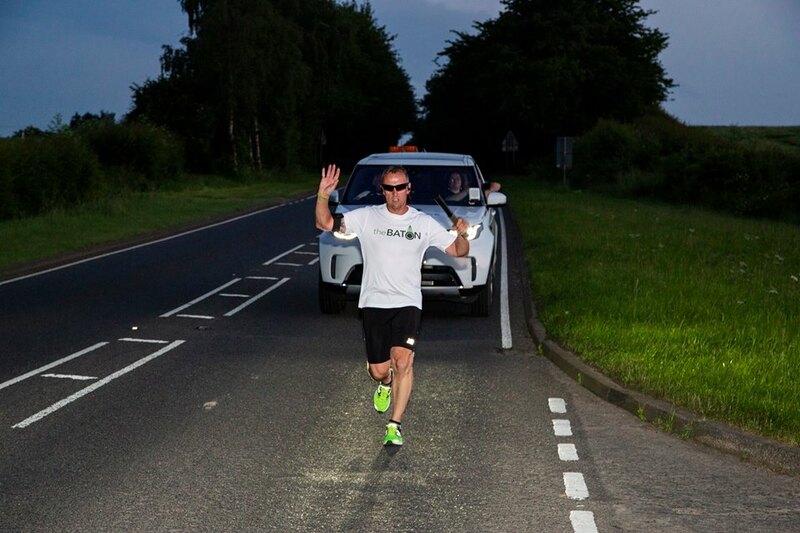 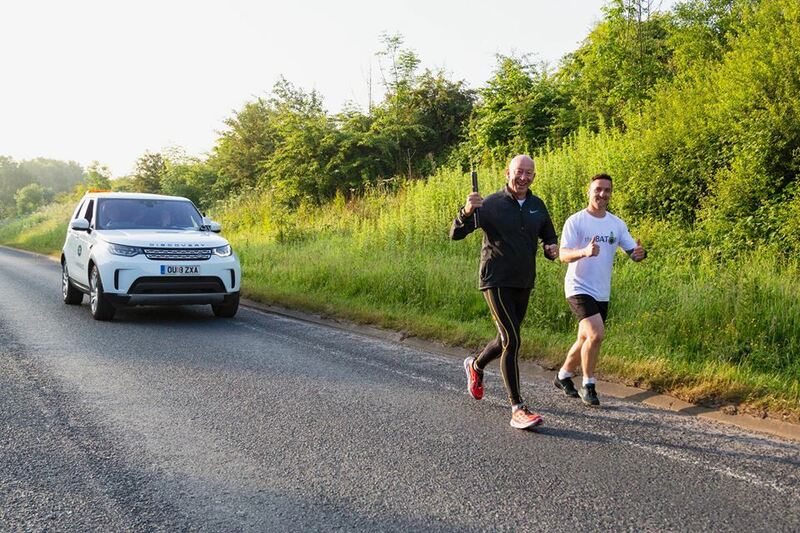 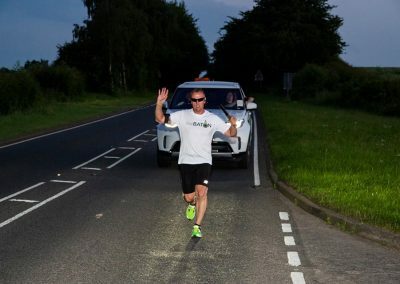 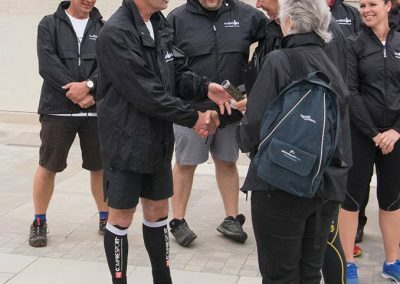 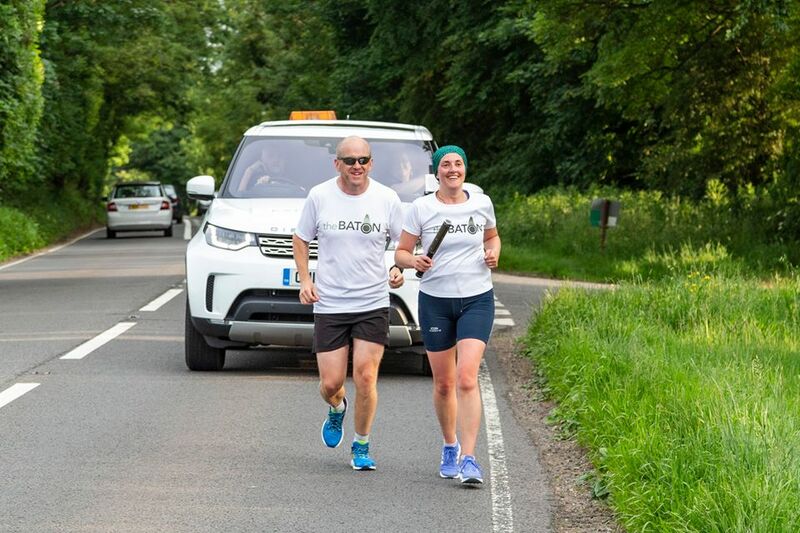 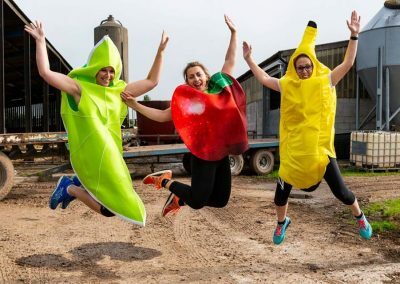 I can’t remember having more fun on a run, its was fabulous to hear the banter and laughs from the team at the same time never forgetting the purpose of the run, during one of his legs Simon Dean ran the 1,000 mile of the Baton Run since starting. 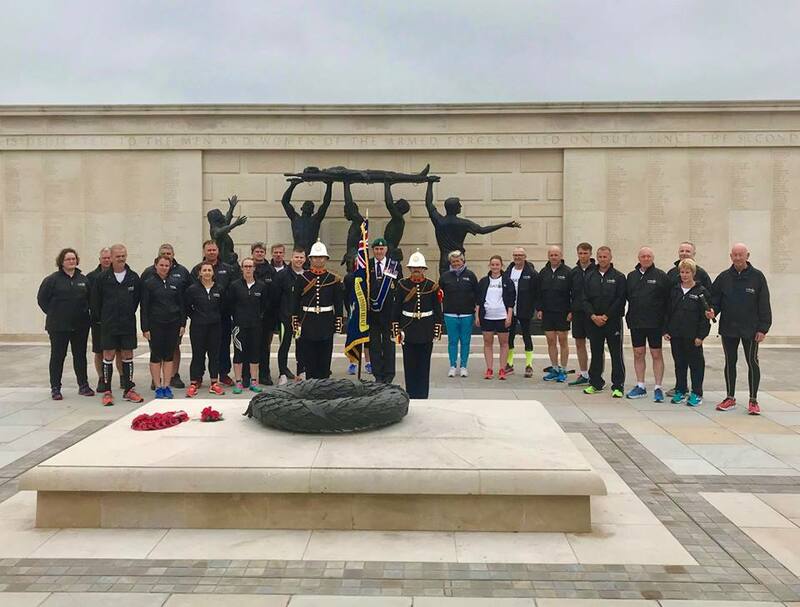 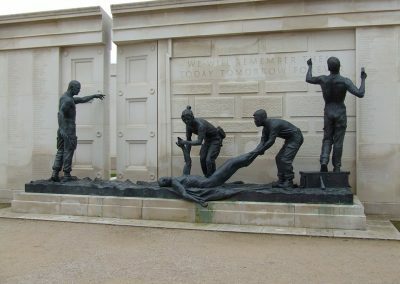 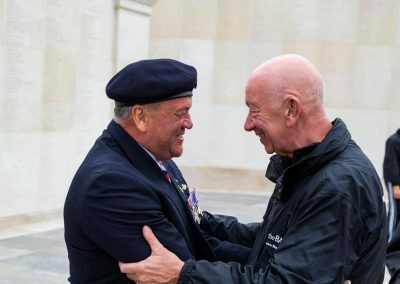 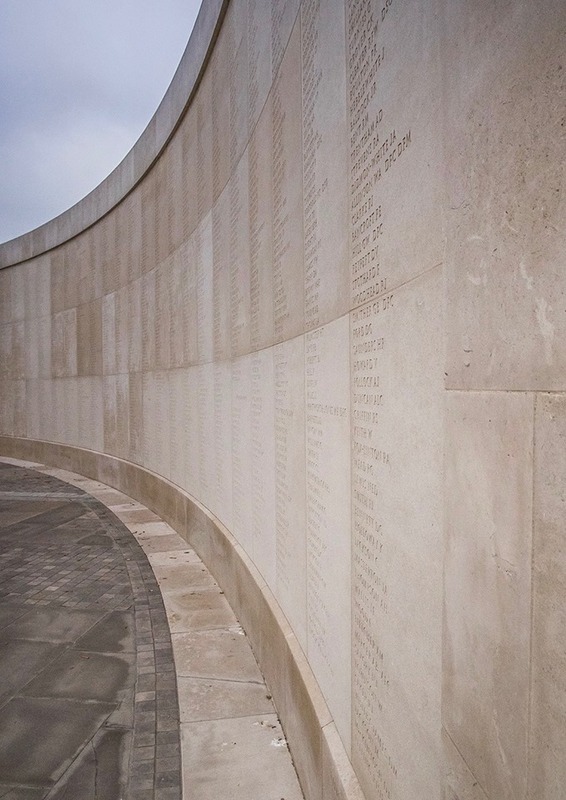 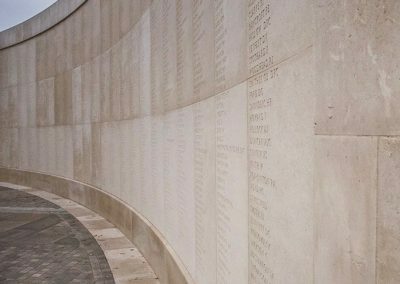 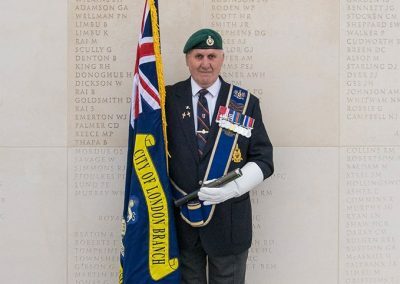 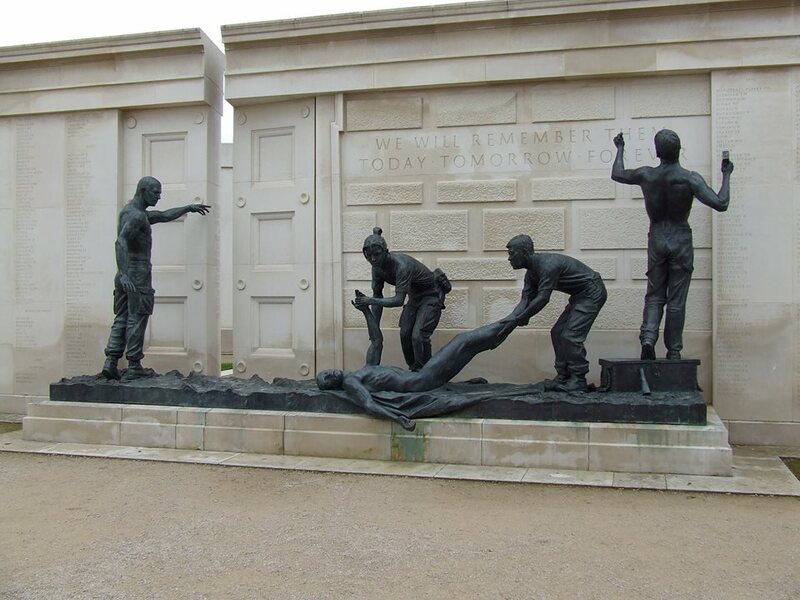 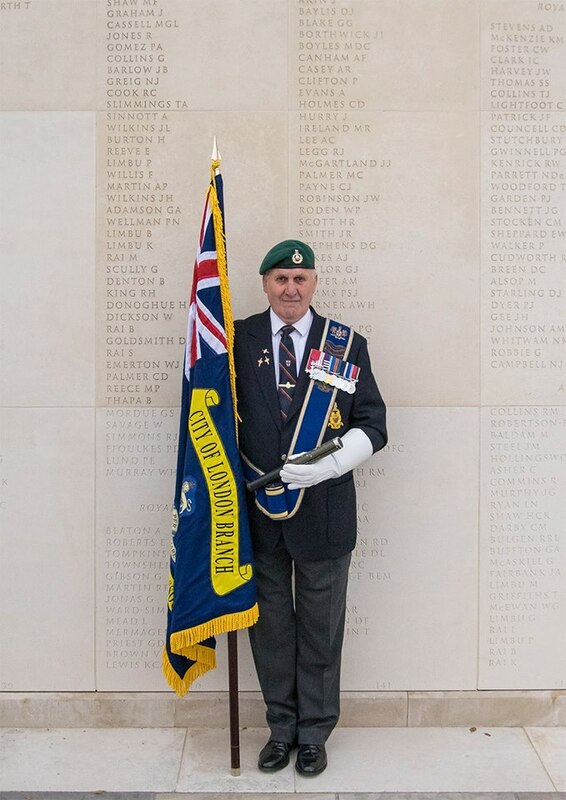 The run in to the NMA was incredibly emotional as usual, this year we had many friends and family waiting for us along with two Royal Marine Buglers who played ‘Last Post’ and ‘Reveille’ with a minutes silence in between. 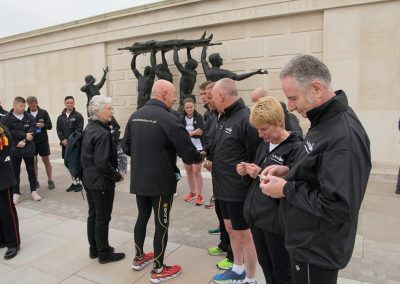 This year I explained what the team had been carrying and read the Baton’s Message, to do this in such a special place with the right people around me I have to admit was an emotional and unforgettable moment. 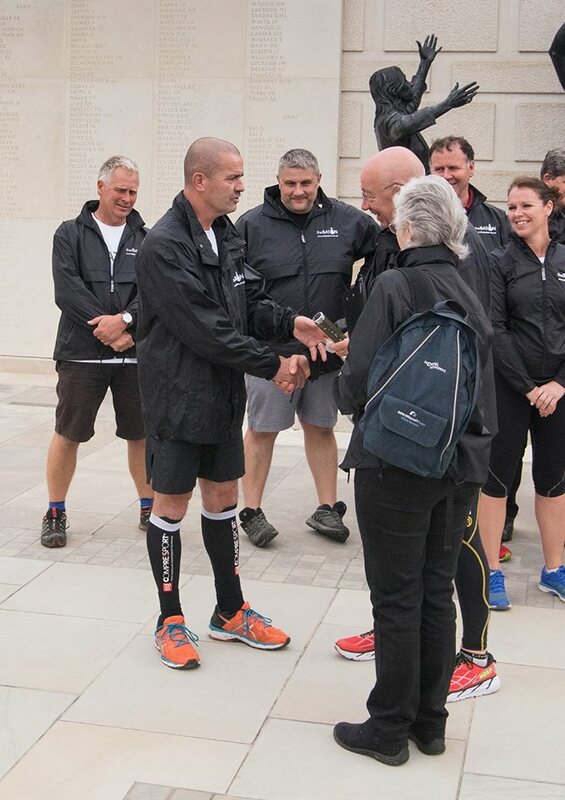 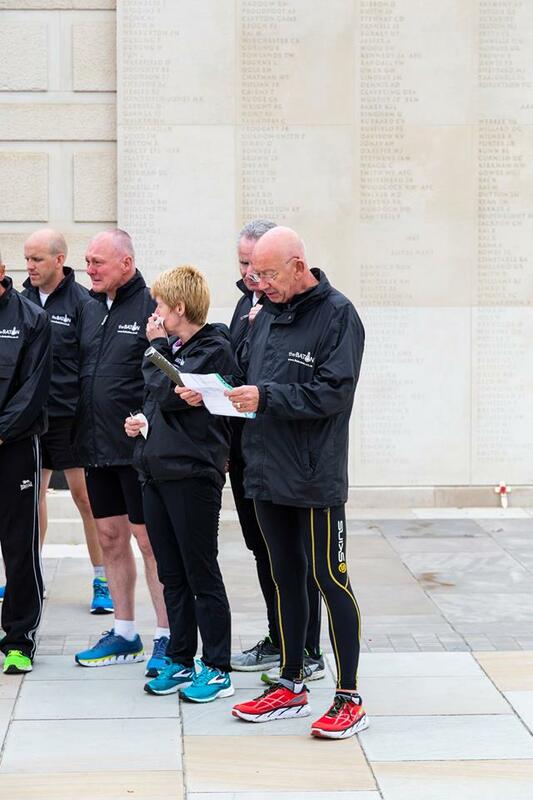 To mark the 10th anniversary of the Run the team were presented with suitably inscribed Baton Dog Tags to mark the occasion. 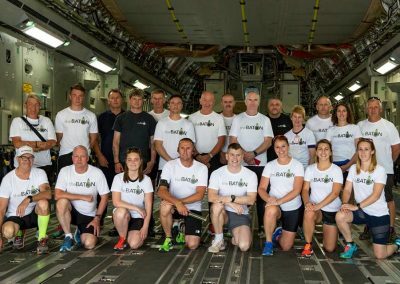 A huge thank you team for your belief and support, as I have said before to me it is priceless as it can never be bought, only given.